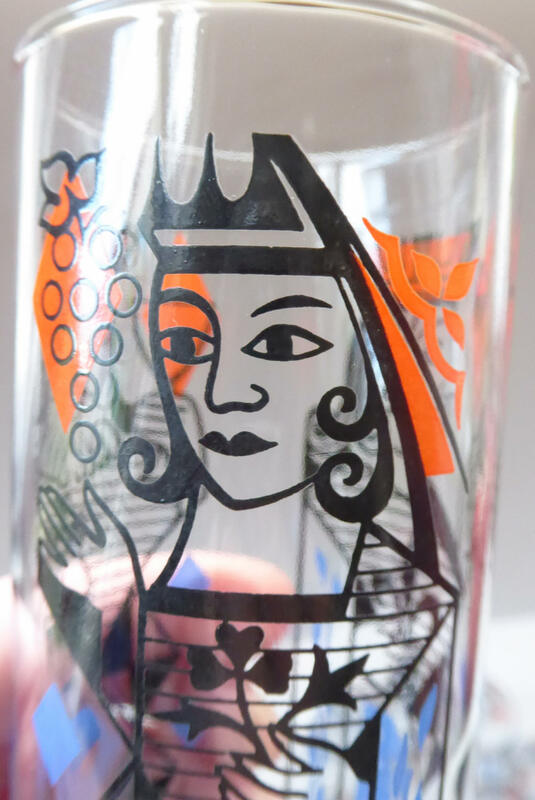 These Slim Jim glasses were designed by Alexander Hardie-Williamson (1907 - 1994) who initially studied textile design at the Royal College of Art, London, had turned to the design of glassware in the mid-1930s. 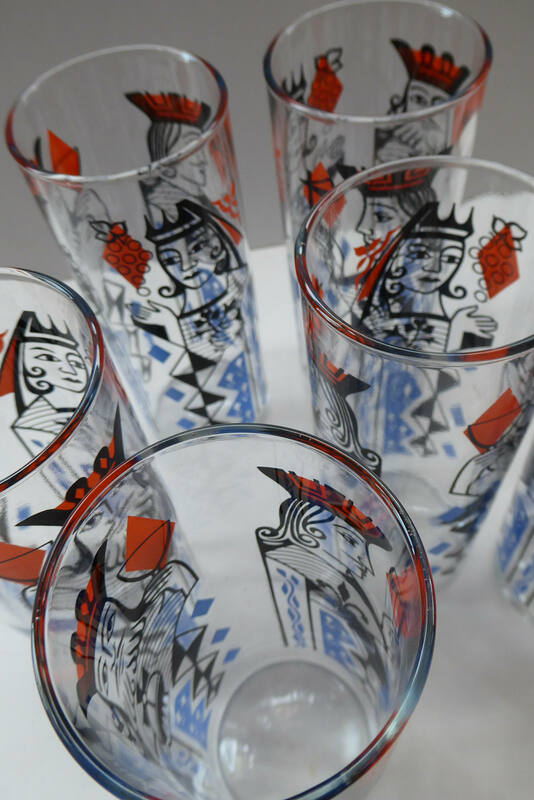 His designs encapsulated the spirit of the era; they were stylish and fresh, bright and colourful, reflecting the mood of post-war prosperity. 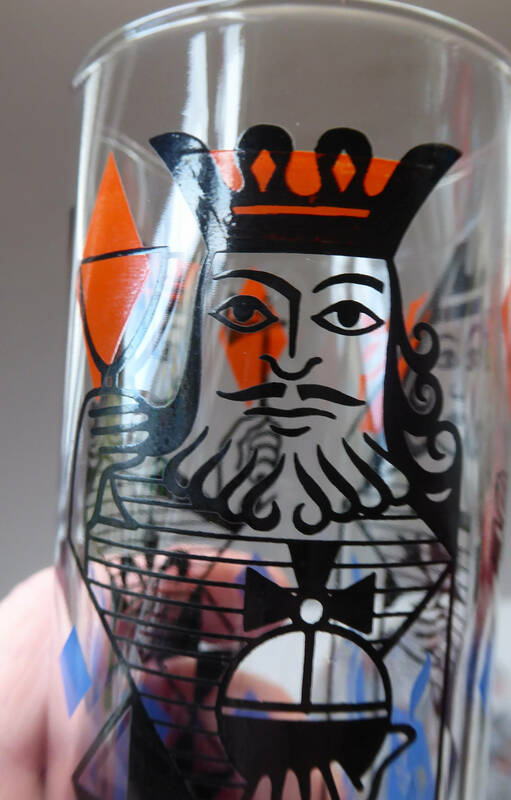 Hardie Williamson's drinking glasses were produced in a variety of shapes which were given names such as Conicals, Chubbies, Chunkies and Slim Jims. 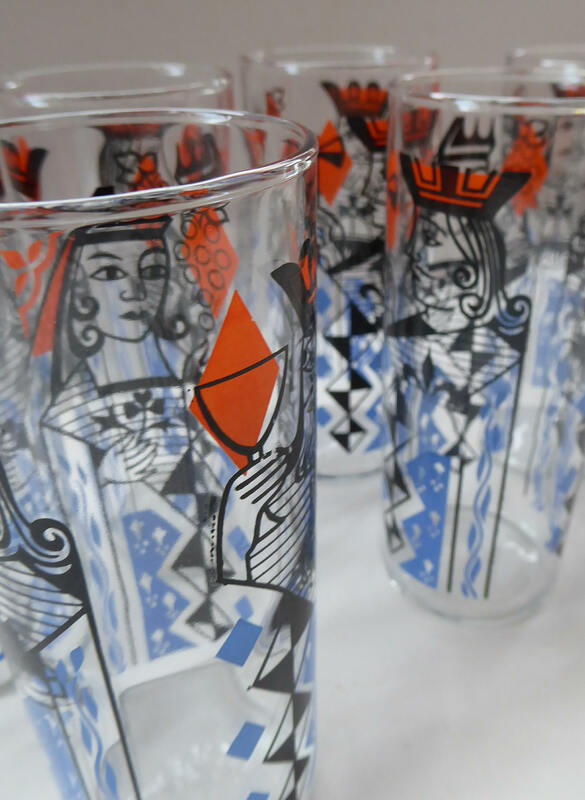 Hardie Williamson's best-known design is his famous Babycham 'saucer' champagne glass. 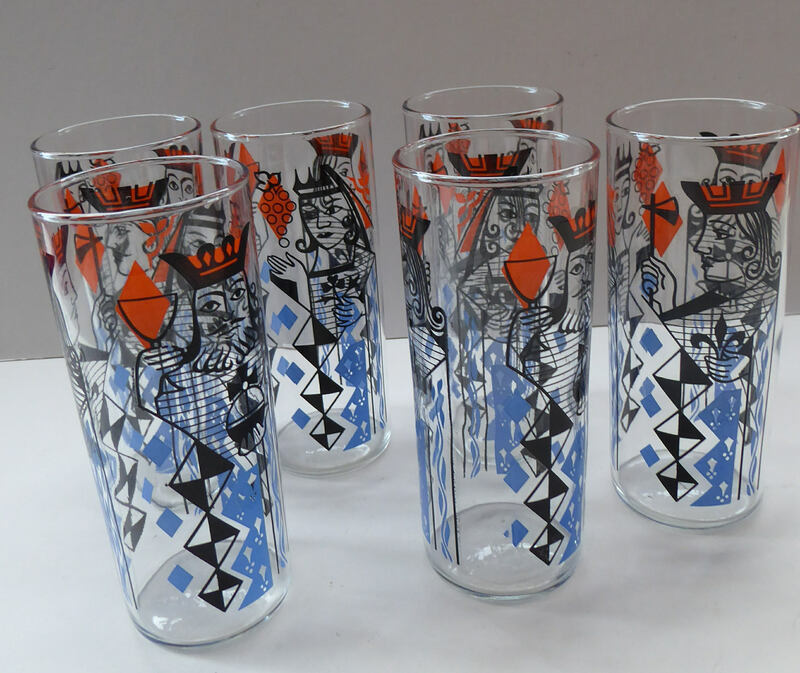 This is a complete set of six 1960s Slim Jim glasses - decorated with stylised images of the heads of the Jack, the Queen and King from a suite of playing cards. 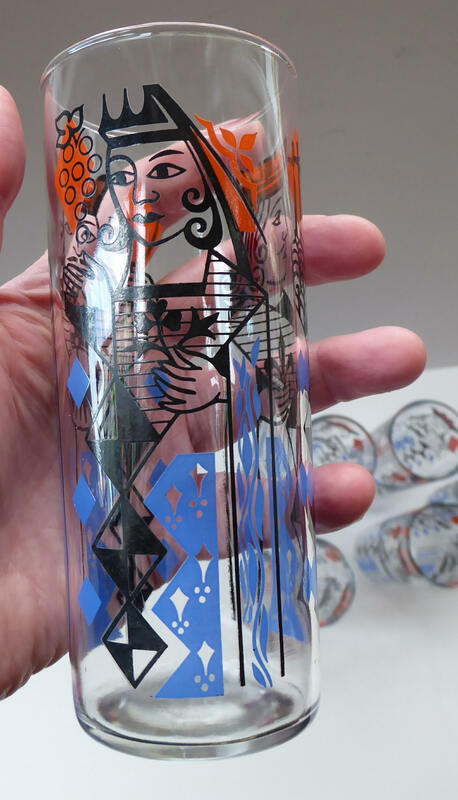 The colours featured are in shades of orange, blue and black. 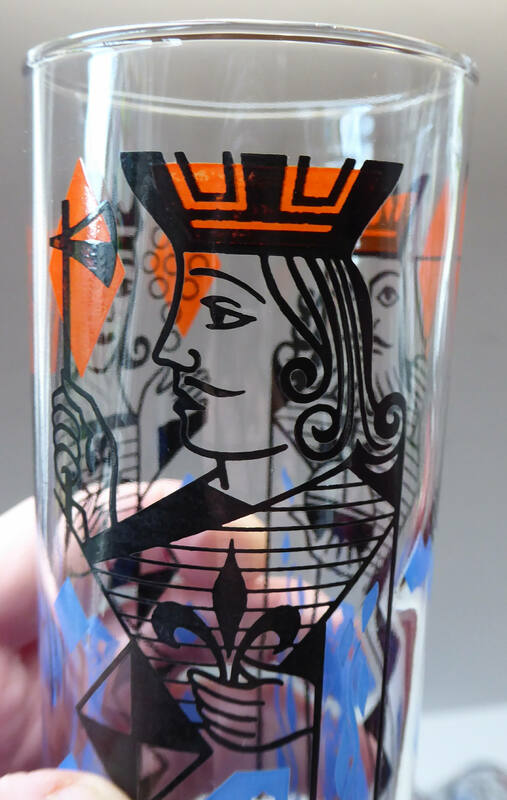 The design dates to 1965. They are about 14 cm (5 1/2 inches) in height - with a diameter of about 5cm (2 1/4 inches). 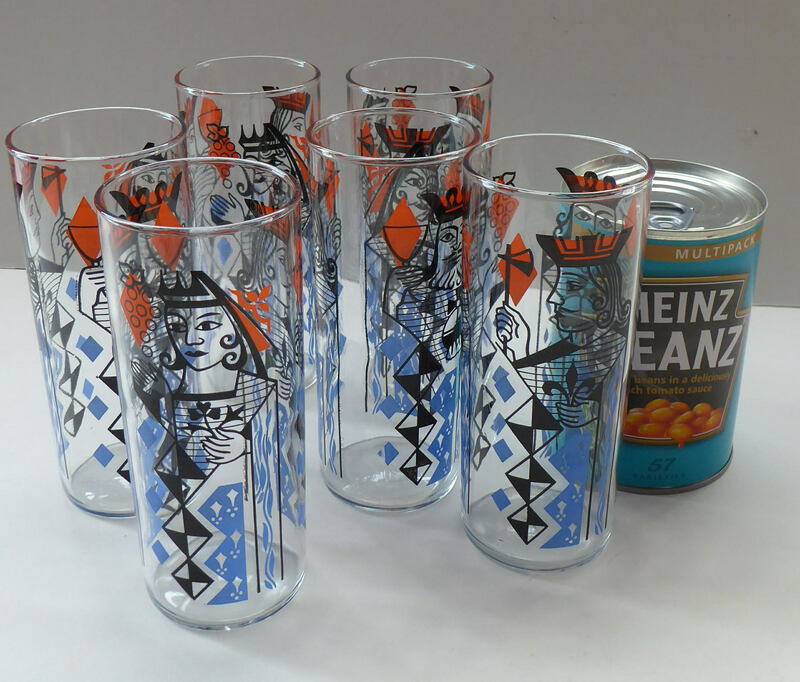 Probably the delicacy of these items would mean that they could only be posted to the UK.